Nature's Beauty is all around Hot Tub at "Watia View" View at "Royal View" Cabin... Views at "Mountain Magic" Cabin Living Room at "Majestic Overlook" Cabin "Mountain Time" Hot Tub at our Honeymoon Cabin "Majestic Overlook" Pull up a Chair at "Native Winds" "Mountain Time" Hot Tub Outdoor Fire Place in the Screened Room near the Creek at "Watia Creekside" Cabin Luxury at it's finest... "Watia Creekside" All of our cabins offer Hot Tubs... View and Hot Tub at "Mountain Magic" "Shady Creek" Hot Tub Fire Pit at "Mountain Time" Fontana Lake "Watia View" Cabin near the N.O.C. 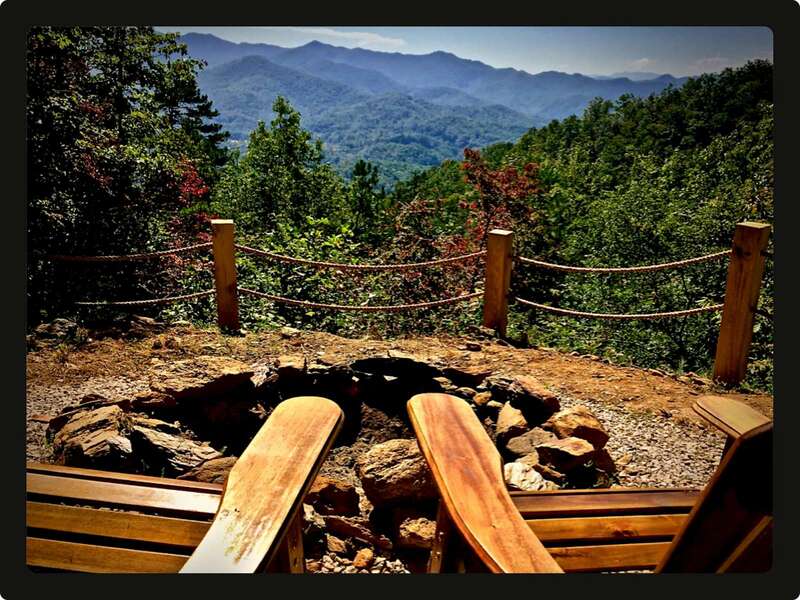 Fire Pit at "Watia View" Cabin Stocked and Hatchery supported Creek at "Shady Creek" Cabin Living Room at "Shady Creek" Cabin on the Creek Two plush bathrobes are available for your use during your stay "In case you forgot something" size Guest amenities are provided The Nantahala River and the N.O.C. 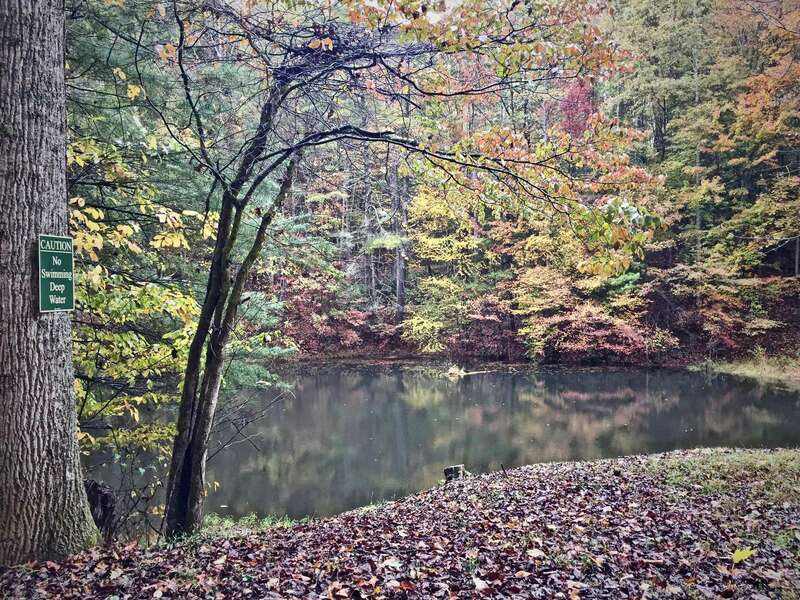 are 5 minutes up the road "Mountain Magic" Cabin offers a hiking trail behind the cabin, there is a great Fishing Pond, so bring your poles! 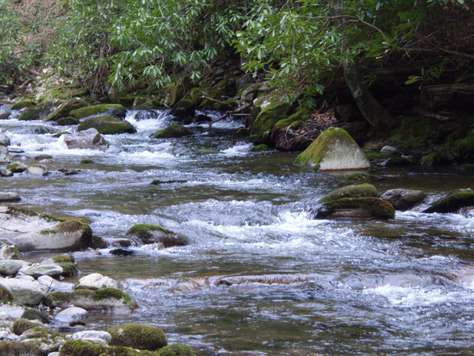 Located in the Heart of the Nantahala Gorge (5 min. from the N.O.C. ), a Nature Lovers Paradise! 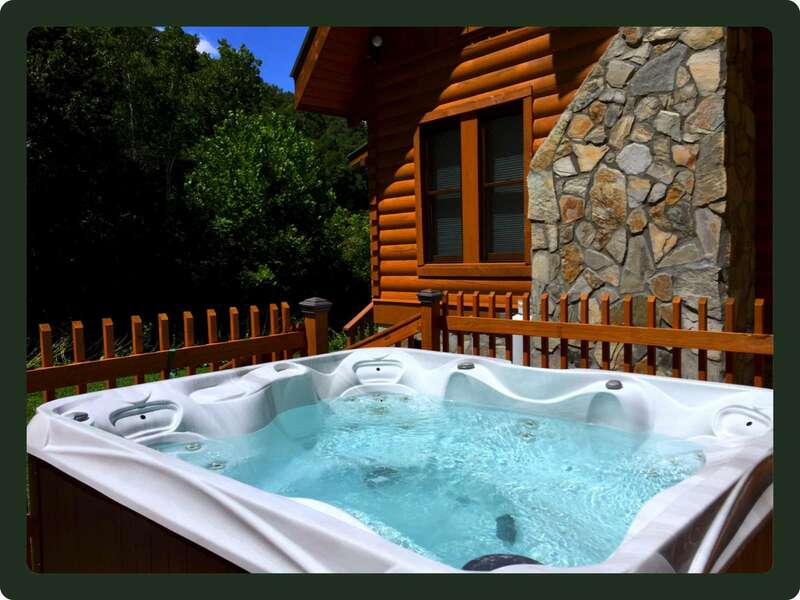 Up Up and Away is no longer available, but we do have 11 Spectacular updated cabins for you to choose from. 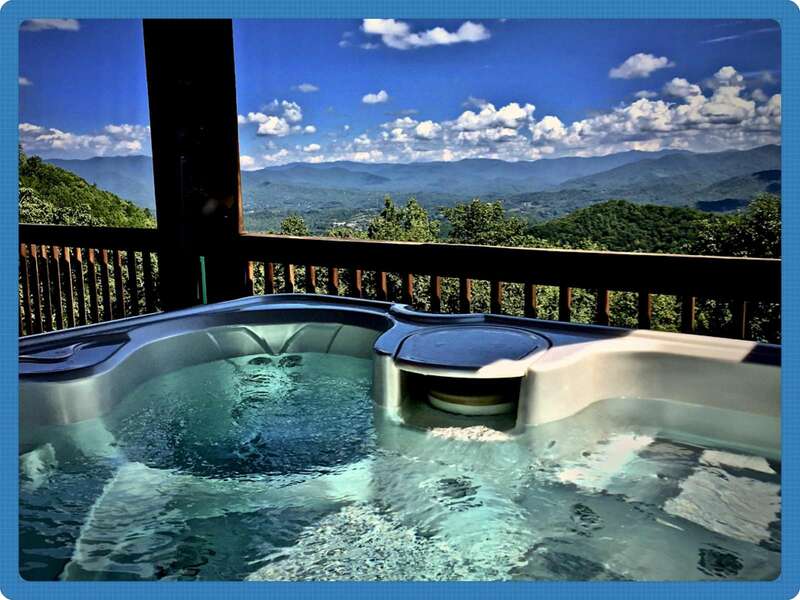 All of our properties offer Sparkling Hot Tubs, WiFi, and either Long Range Mountain Views, Lake Views, or Pristine Creek settings. Best of all, they are immaculate and are in the most sought after locations with easy access to all of the area Attractions and Activities! Just email us your dates, and we will be happy to send you property numbers of available cabins. Come see why both National Geographic Vacation and Good Morning voted this area ' #1 Vacation with a Splash'! ... Also available is our Shopping service. 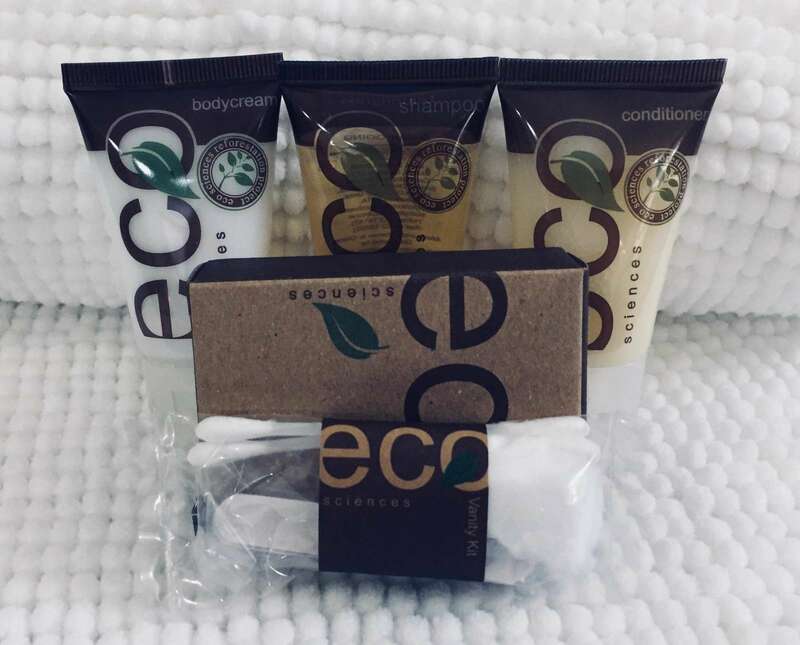 If you would like to arrive at the Cabin with your Groceries already stocked, ask for details, we will have everything waiting for you upon your arrival. ... 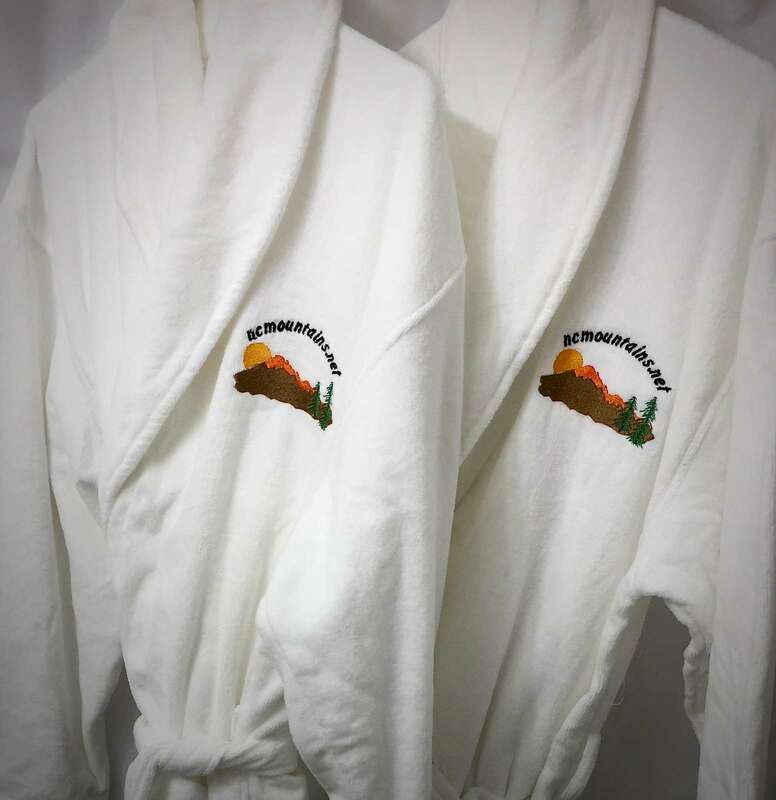 If you would like to enjoy a Spa Massage Service at the Cabin, it is a good idea to book in advance to assure availability. Your Professional Massage Therapist will come to you, so when you are done, they quietly disappear and leave you to relax! ... If your vacation dates are during 'Season' or Holidays and you plan to rent a pontoon or fishing boat, it may be a good idea to reserve in advance! 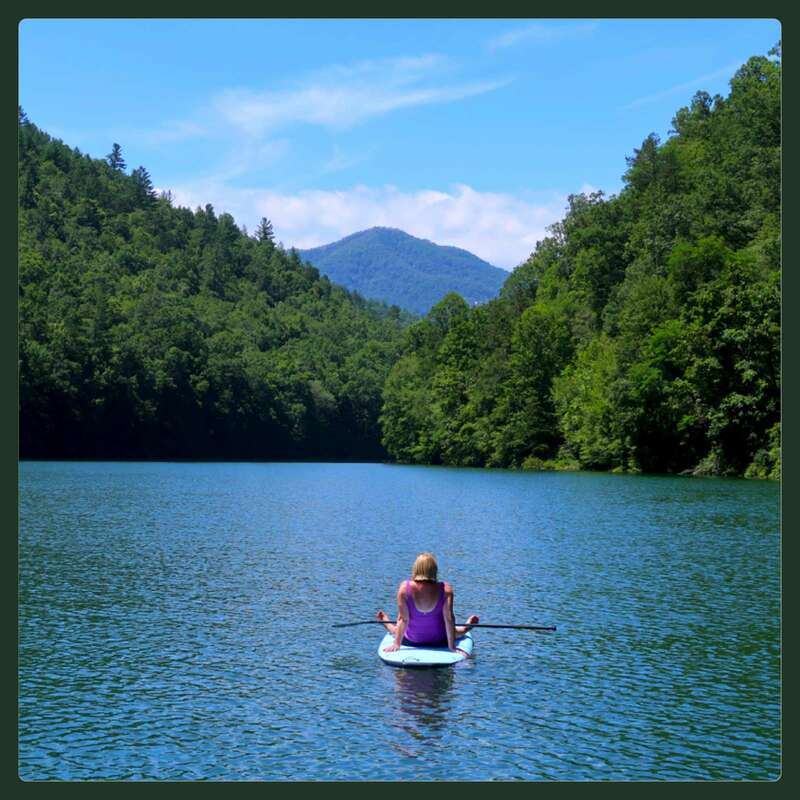 Lake Fontana is primarily National Forest, Smoky Mountains, and Federally owned, so the Lake is never 'Busy', but the few available rental boats do get booked up. 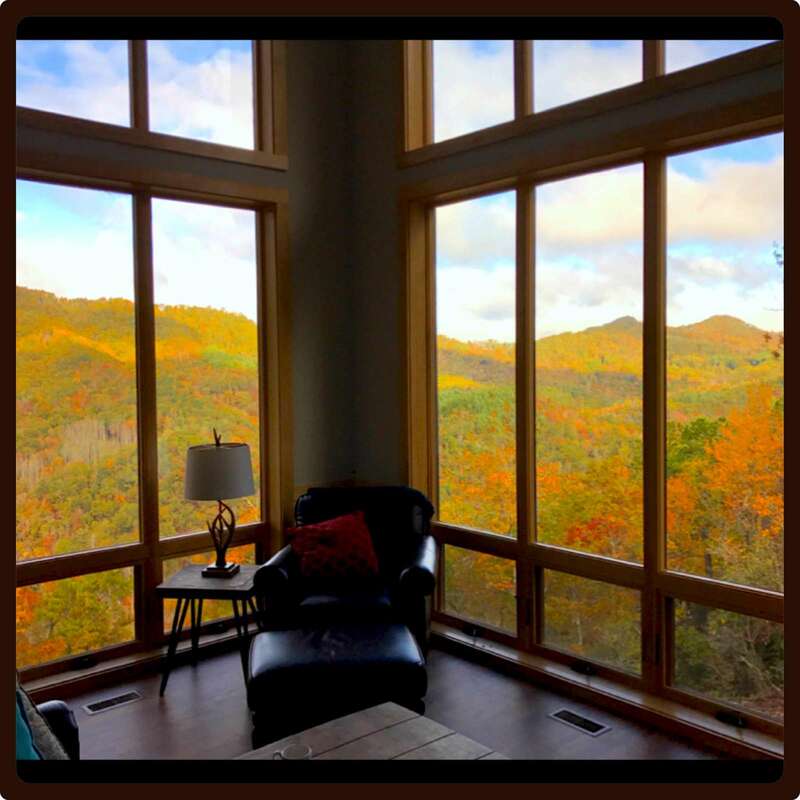 To view NC Mountains Realty - Rental Agreement in full, please go to our website, or click on the Booking link. The booking link will take you to review our rental agreement. You will always have an opportunity to read over our Policy and Procedures prior to making any payments. *Cancellation/Travelers Insurance is available at or after your reservation is confirmed. Insurance is per reservation, NOT per person, and is approx. 6.95% of the invoice total. We highly recommend this Insurance, as it covers so much more than just cancellations! 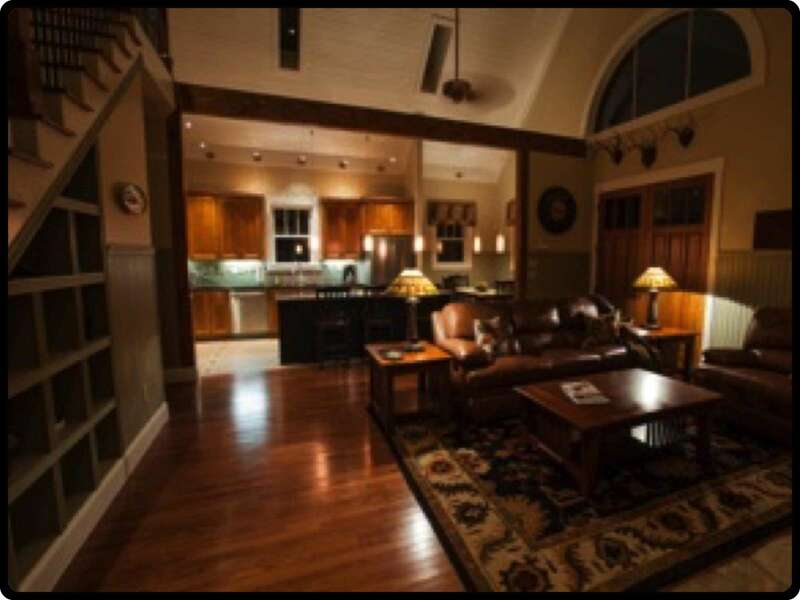 Our Guests usually pay 50% at the time of reserving the cabin, and the balance is paid 60 days prior to check in. (To request an exception/alternate payment arrangement, please contact us). 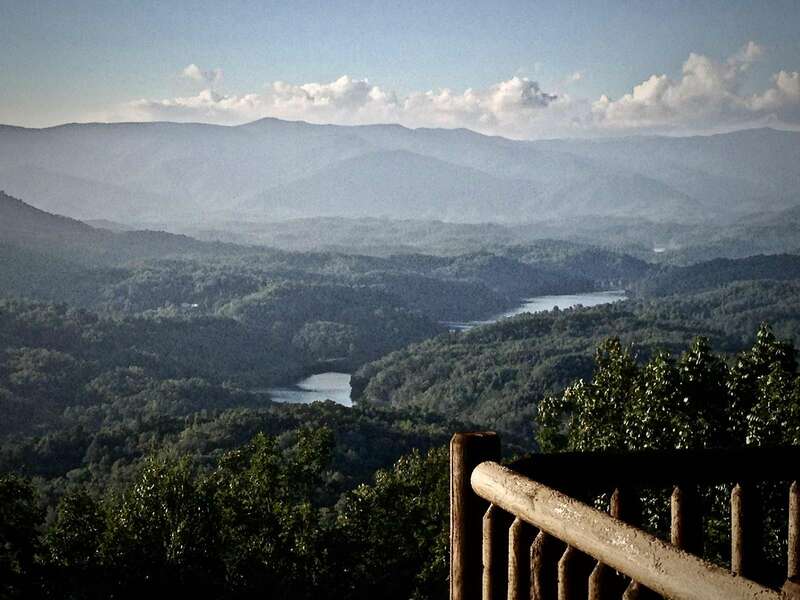 Outstanding views and super convenient to the NOC and the national Forest. A clean cabin with a relaxing deck with a nice mountain view. Comfortable beds. Nicely decorated. The Hot Tub was very clean and maintained. 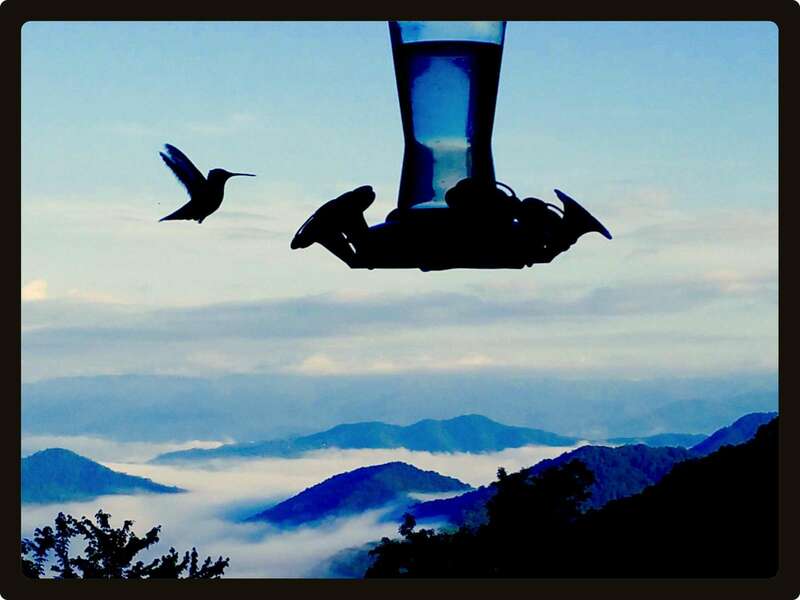 We hung a Hummingbird feeder and visits were every 20 minutes! 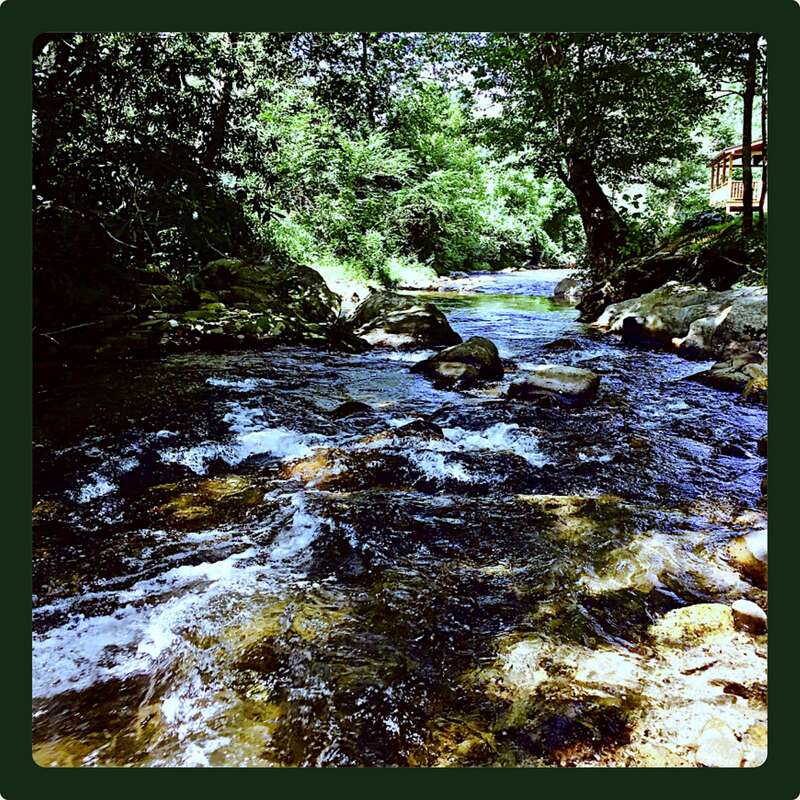 Lots of good places to eat and drink in Bryson City. 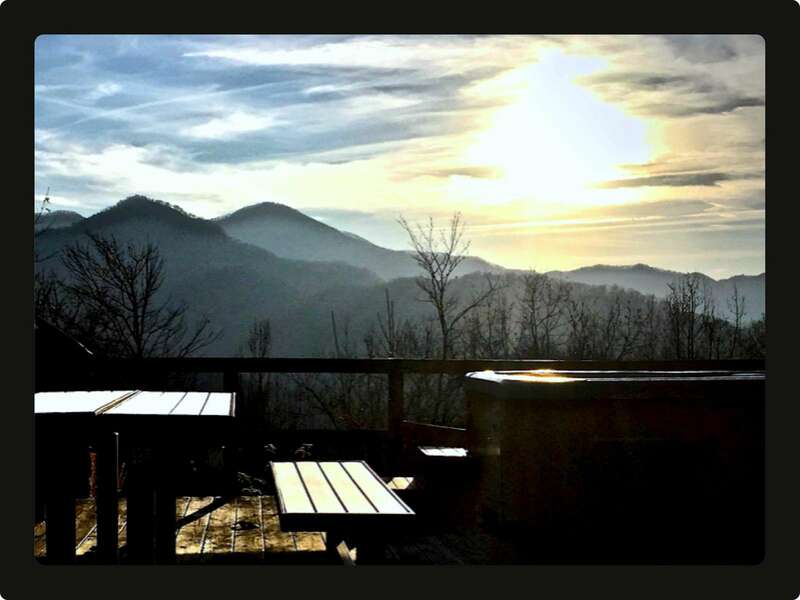 We found it to be a nice hub for visiting nearby places like Cherokee, Smoky Mountain and Blue Ridge Parkways, Waynesville, Maggie Valley, etc. We also enjoyed just staying at the cabin to relax and enjoy the view. Everything you need included. Amazing views of the mountains. Paved road to door, though the last part is a small mountain private road. Tons of thing to do nearby. Quick responses from the host. Recommend. Great view! Lovely place to relax and unwind after a day of activities in the mountains. The hosts were very responsive, incredibly helpful, and accommodating during our stay at this cabin. The views from the porch, bedroom, and kitchen can’t be beat either! I would definitely recommend this cabin to anyone (couple or family) wishing to have a fun and relaxing stay in the mountains. We had such a wonderful stay at Up Up and Away! It was absolutely beautiful. It was cozy and stocked with all of the things we needed for the time we were there. The hot tub was a great addition to the home. There was only one complaint I️ had, and that’s the short time we got to stay! I️ didn’t want to leave. It was a great escape and such a relaxing place to be. I️ would definitely recommend this home to anyone and everyone looking for a great time at such a good price! The view was fantastic and the cabin was very nice. 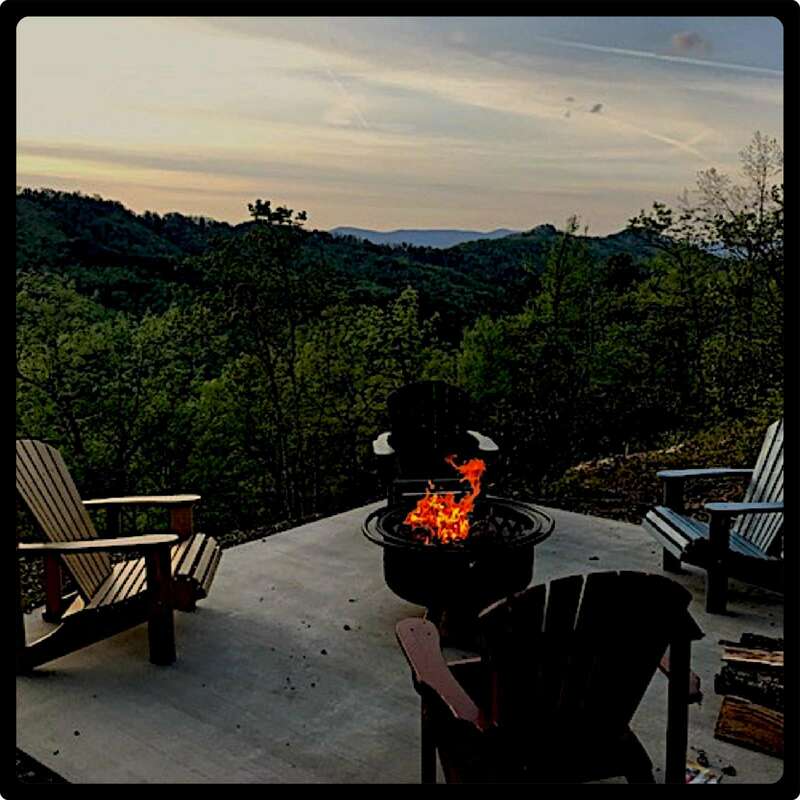 We would recommend the cabin to any one who would be planning on visiting the Bryson City area. We really enjoyed our stay at Up, Up & Away. The views were stunning, everything was clean and appointed with everything we needed for our weekend. 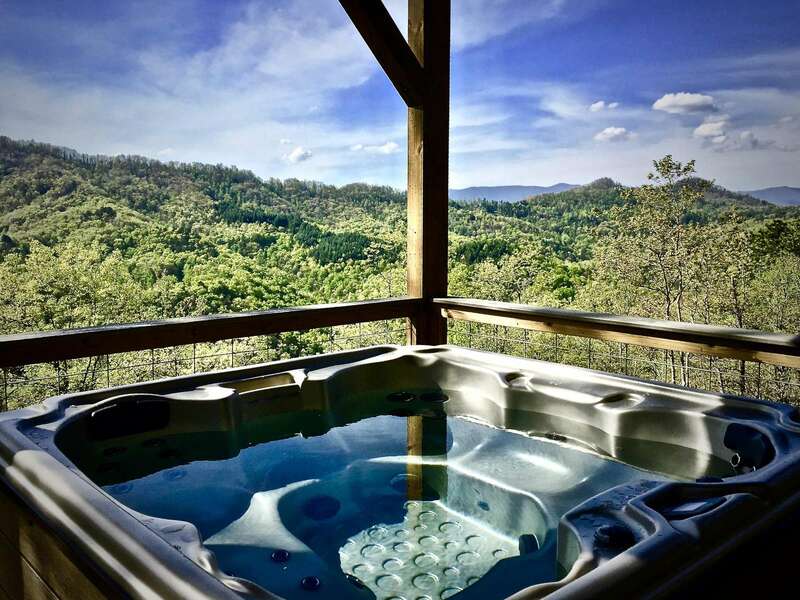 We especially loved soaking in the hot tub after a day of outdoor activities. 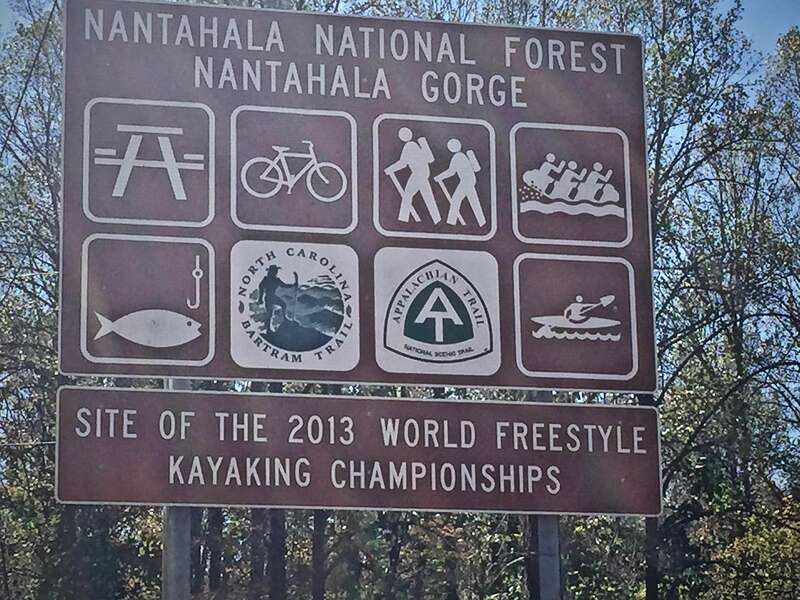 We were in town for our son's survival class at Nantahala Outdoor Center which was 8 short minutes away. Very convenient. We would definitely stay here again if in the area. This place was a great retreat for our family. The view was beautiful! It was very clean. You couldn't ask for a better time of rest for a busy family. We plan to return. A wonderful cabin for a family or two couples. The hot tub was a daily must and was at the perfect temperature. We have stayed at others and they were never hot enough. The kitchen was better equipped than any other I have seen. From cookie sheets to frying pans they had everything available. The bed was very comfortable and the linens were perfect. The fireplace kept us more than warm enough on cooler days. A great place to stay. The cabin was exactly as described in the listing! The view from the porch was beautiful. The neighbors were far enough away that they didn't bother you. 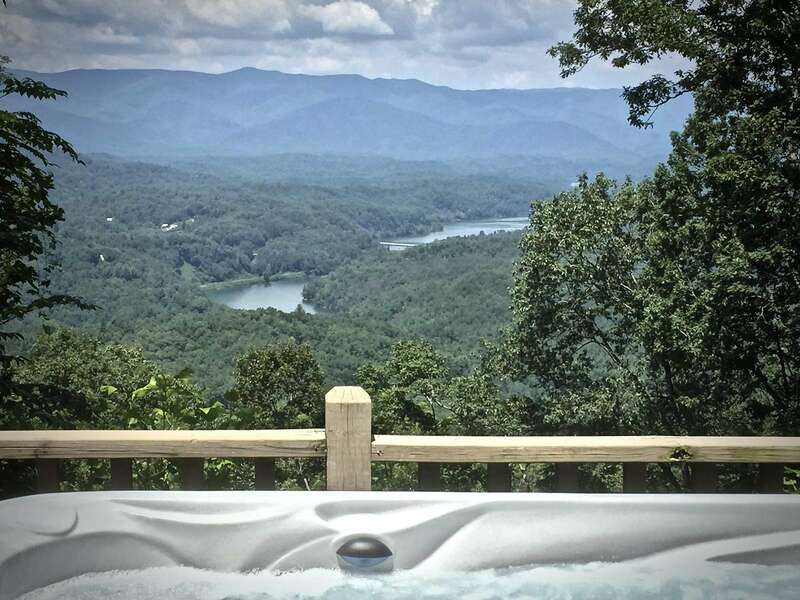 Sitting in the hot tub after a long day of hiking and driving was an added bonus. Bryson City is just minutes away and has some fabulous restaurants downtown. The property manager was quick to answer questions and made sure we were taken care of during our stay. We will definitely be back next year and have already recommended this cabin to several friends! We had a great weekend staying at the Up, Up and Away cabin. Everything you need is stocked at the cabin. We really enjoyed the fireplace and hot tub. The weather was perfect and the view off the back porch is really great. I would recommend this cabin. Amazing views! We had to call the #for help with something and she answered right away! Also the outdoor fire pit was stocked and ready kindling and all!! Strangely you only can throw away one bag of trash or you get charged $10 per bag, we were only there 2 days so no big deal, but for a whole week that seems odd? 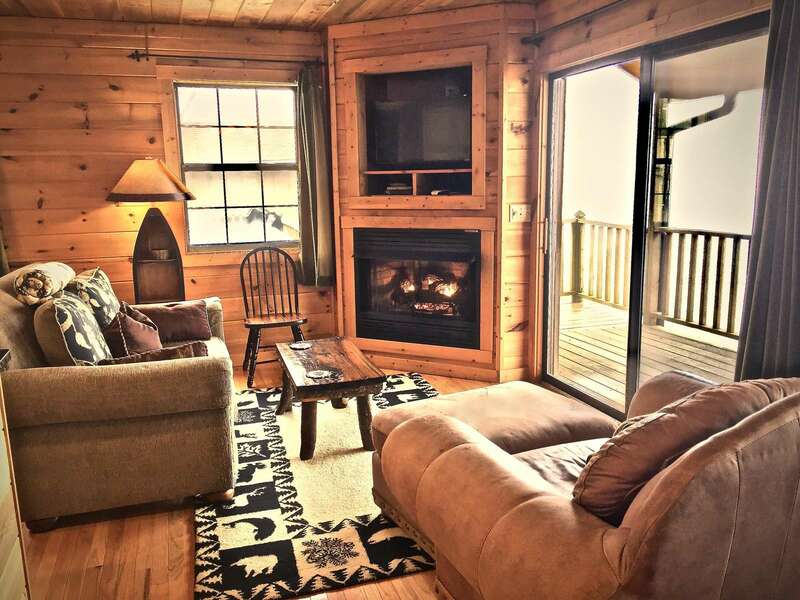 This cabin has all that you and your family needs for an unforgettable vacation. easy access with pavement road. FANTASIC GET AWAY BEFORE THE BABY My wife and I went up for a weekend away before she got too far into her pregnancy to have fun. The house was great, the views were absolutely amazing and we had a wonderful time. This was one of the better equipped houses we have rented and I can't say enough about how great the owners were to work with when our travel schedule changed. We would definitely rent again! Our trip was absolutely one if the most relaxing vacations I have ever had. I am primary caregiver for my 91 year old mother and I left her home with a sitter and really was able to rejuvenate and relax. My wife and I went up for a weekend away before she got too far into her pregnancy to have fun. The house was great, the views were absolutely amazing and we had a wonderful time. This was one of the better equipped houses we have rented and I can't say enough about how great the owners were to work with when our travel schedule changed. We would definitely rent again! 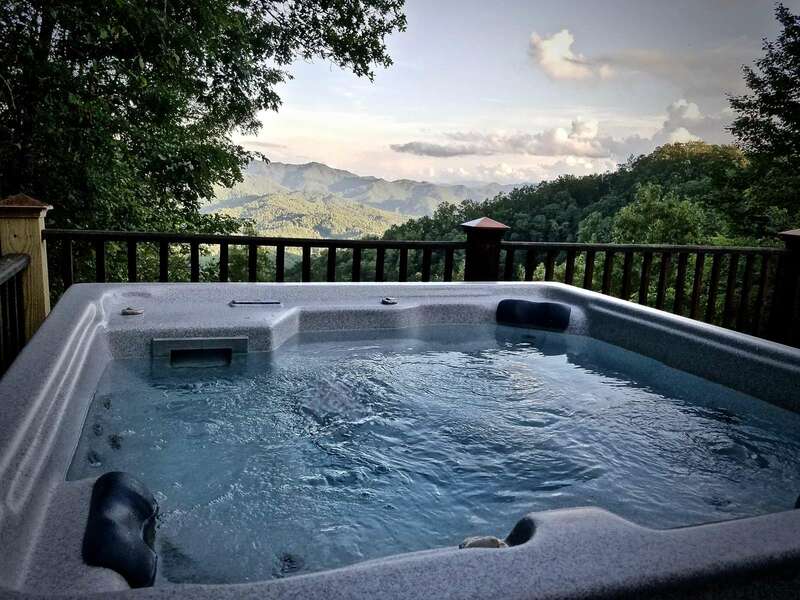 Fabulous Get a Way in the Mountains... Gorgeous views, hot tub was great to have on premises, enjoyed the trails and fire pit, cozy cabin. All in all a fabulous experience! Hard to Beat... Honestly my only concern during our whole stay was, "How are we ever going to top this?!?" The house was lovely, immaculately clean, with a very well-equipped kitchen, and just as pictured. The view was amazing. We felt the location was perfect, far enough from civilization to feel like a real getaway, but close enough to stores, services and plenty of great hiking so that we didn't have to spend a lot of time in the car. Perfect! This rental will meet all your needs and more! It's an outstanding price for what you get.. 10 million times better than staying at a hotel. The view was breathtaking, I wanted to sit on the porch all day long, but of course there are too many activities around you to do that! An awesome outfitters (NOC) is right down the road, you can't beat it! My only complaint is that it does not offer wireless internet.. yes, I know, it's vacation... but no internet is an inconvenience in this day in age. However, the amenities that this place offers more than makes up for it - I promise, and our cell signal was excellent, so we did go online with our iPad. We really enjoyed our stay at Up Up and Away! No complaints here for our family of 4 plus our dog. Although there are two other cabins on that road, privacy was never a problem. There were plenty of spots to walk your dog too - just up the hill was a big field. I enjoyed the exercise. Yes, the last part of the road was a bit adventurous - but this all leads to the amazing views. 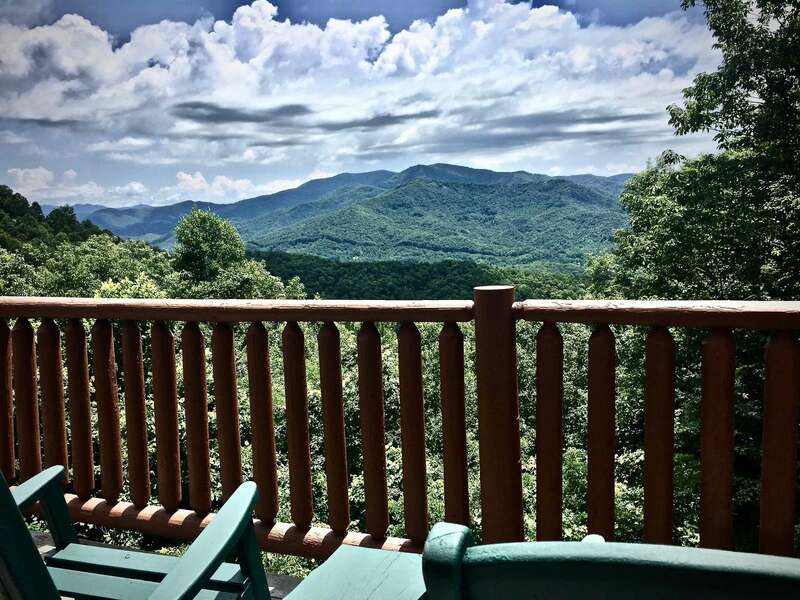 The location of the cabin is prime for enjoying all this area has to offer: including going to highest point in the Smoky Mountains (Clingman's Dome), the highest hiking path in the Blue Ridge Mountains (Waterrock Knob), Cherokee's Un To These Hills Outdoor Theater presentation, and just a bit further to Biltmore Estate. And literally minutes away is Paddle Inn White Water Rafting Company that gave us an awesome guided ride on the river. 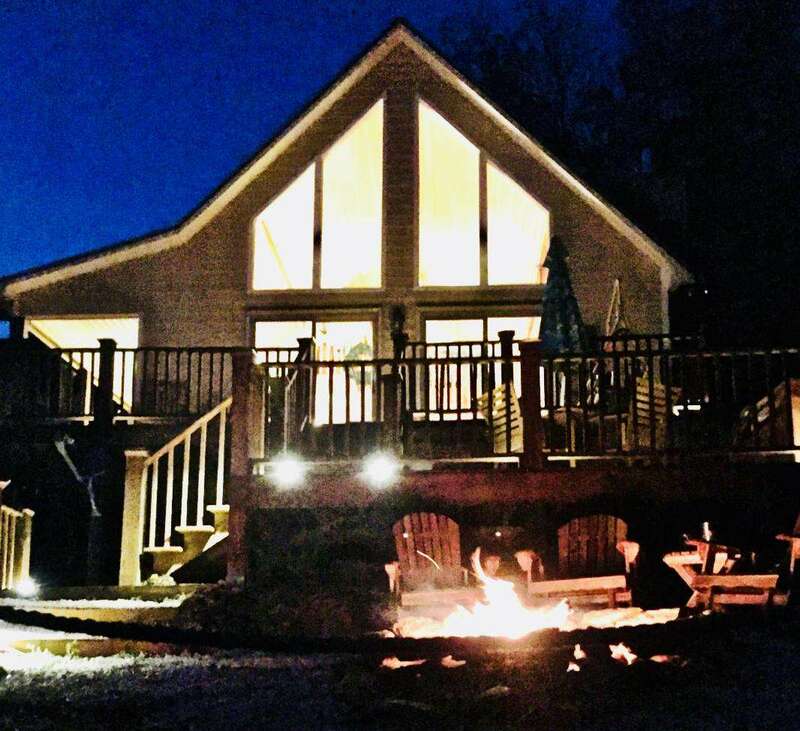 Be sure to enjoy your time at the cabin too - game room, hot tub and fire pit were great. We would definitely recommend Up, Up and Away. Impressed from the moment we arrived! The cabin had everything we needed to have a wonderful Mother's Day weekend .The beds were comfortable ,the kitchen was well stocked and the porch was heaven. Highly Recommended! What you see is definitely what you get! All the comforts of home, beautiful surroundings, wonderful view, very peaceful and quiet. 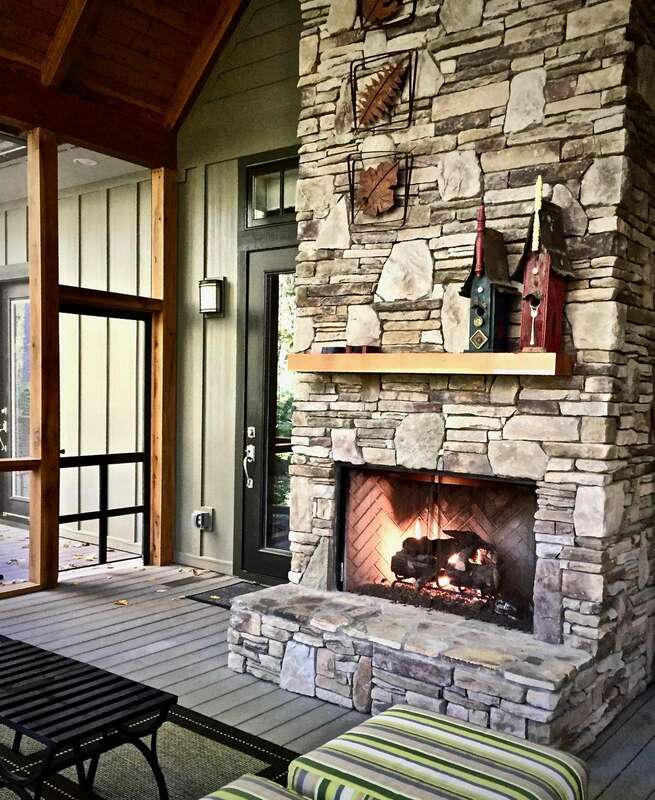 This VRBO rental is our favorite of all time. 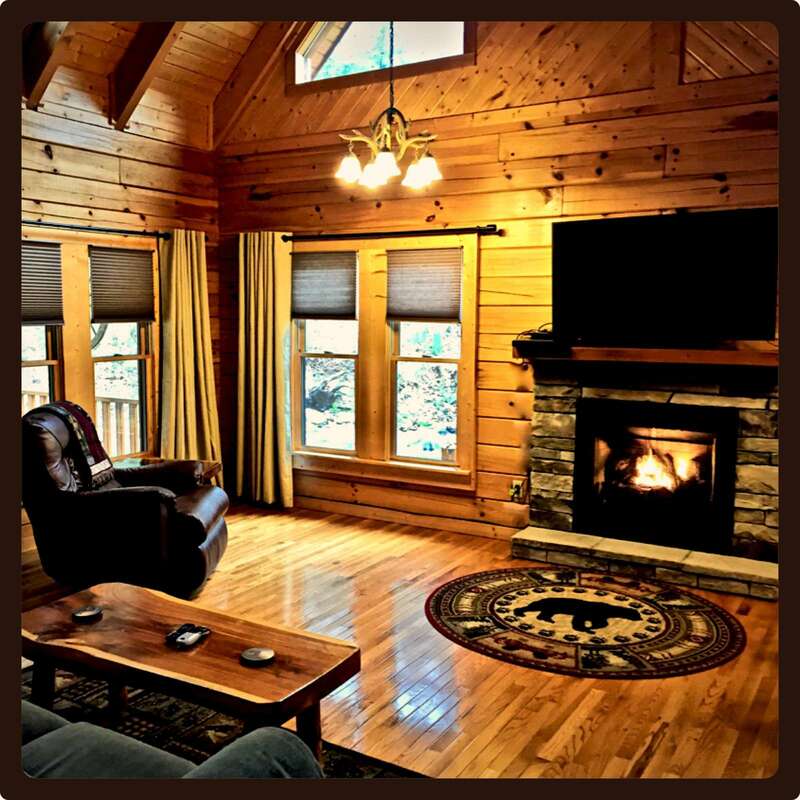 The cabin is secluded yet minutes away from restaurants and activities. We celebrated our 30th wedding anniversary with dinner at Pasqualino's (delicious Italian). A ride on the Great Smoky Mountain Railway was relaxing and entertaining. 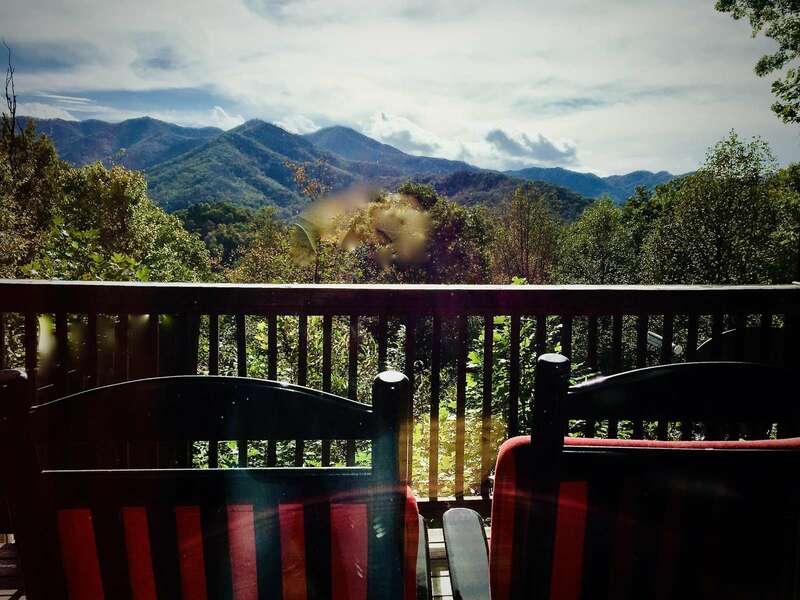 Most memorable will be the five nights we sat in rocking chairs on the cabin's porch overlooking those beautiful mountains. Lesson learned--next trip to this cabin we will bring our motorcycles. As stated in a previous review...plenty of room for a vehicle and trailer, or one may ride up because the mountain road is paved. Thanks for sharing your lovely cabin and we thoroughly enjoyed our coffee!